Perfect accessory for any costume or costume party! Get ready for an outdoor adventure with this raccoon tail cap. 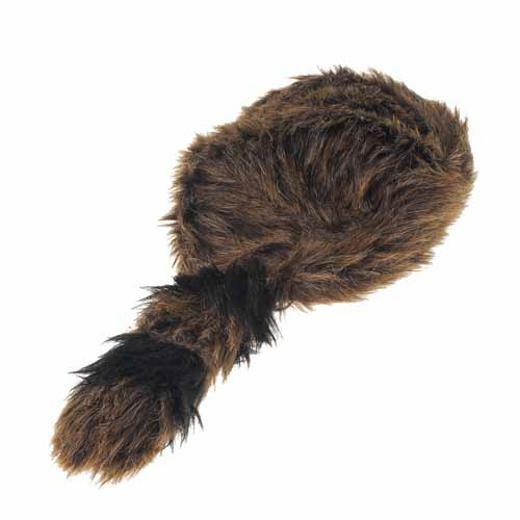 The Davey Crockett inspired hat is made with synthetic fur. Stock up on all your costume accessory and hat needs with US toy. We have a wide selection of novelty, career, costume and whimsical hats to suit any occasion. You'll be sure to find the right hat for your next party or costume with US Toy. L: 6.35 in. W: 12.15 in. H: 2.0 in.